Renovating your kitchen can be very exciting, especially since there are so many options to choose from. The wide variety of styles and materials used in today’s kitchens gives the consumer a lot to think about before making the investment. With the numerous options available, how do you know what to include in your design? The added expense is probably not worth including a pot filler over your stove top. These can become quite costly if there is no plumbing to tie it into. It may be convenient to fill while cooking, but the extra cash could be spent on something more beneficial, such as upgraded cabinets or countertops. A wine refrigerator is a convenient little appliance, but it takes up extra space that can be used for storage. An article from This Old House, discourages home owners from adding a wine fridge to their kitchen remodel. Unless you are a wine conesouier, then you probably can do with out one. If you are on a tighter budget, hold off on adding new windows to your updated kitchen. You can always hang new window treatments to give them a face lift. An article on Time.com states that each window not replaced could save $500-$1000. When factoring in each part of the design, this savings could be spent elsewhere that would give the room more “wow factor”. An open concept design gives the kitchen a spacious and airy feel. If you have any walls that are not weight bearing, consider removing them to give your home an updated look. Open concept homes are timeless and make family gatherings much simpler when there are no walls separating the rooms. An article in Better Homes And Gardens, mentions that steps are wasted if the kitchen isn’t designed with efficiency in mind. When designing the layout of your cabinets and drawers, pay attention to where they are located and how you will be storing your items. You may decide to layout your design a little differently once you think of your usual cooking routine. Kitchen renovating can also include adding updated light fixtures. Doing so can make a big difference in the appearance of a kitchen. Bad lighting and outdated fixtures give the room a drab and dark feel. 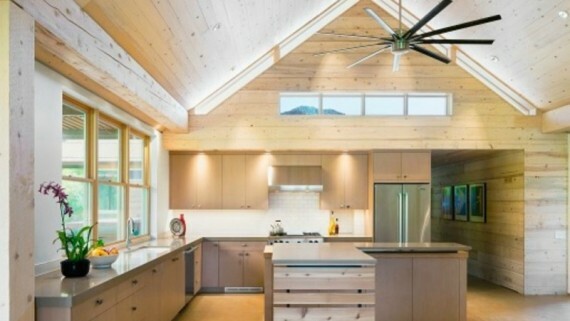 Consider adding pendant lights over an island or breakfast bar. Remove old florescent lights and replace with recessed lighting. LED lights can also be added underneath the cabinets to illuminate the counters and give a brighter look to the kitchen. New cabinets will make any old kitchen look new again. If you are tight on money, then focus your attention to adding updated cabinets to your space. 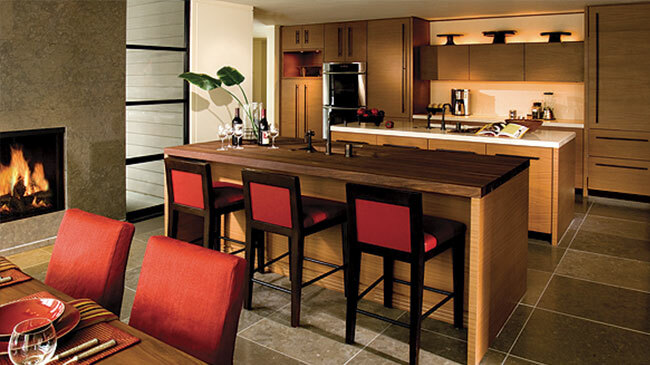 The entire look of the room can be altered by incorporating new cabinetry. If your budget allows, adding new countertops to go with the cabinets would be the next thing to consider. Some people may find that the items mentioned above are important to them and want to add them to their new kitchen. It is all a personal preference, there are no cut and dry rules when it comes to kitchen renovating. If you are planning on remodeling your kitchen, make a list of all of the elements that you want to include in your design. List them in order of importance to get the best idea of your expenses. Once your budget has been defined, consult a professional who can assist you with putting your ideas in place. For further reading, check out: Six Design Ideas To Create A Traditional Style Kitchen and Selling Your Home? – Update Your Kitchen To Maximize Returns.